Wedding invitation is the first piece of your special day puzzle. When your friends and family will receive invitations for your wedding, they will start to understand how wonderful this event will be and will be looking forward in excitement to attend it. Well, this will only happen if you do everything right. That is where knowing basic etiquette rules will come in handy. When you think about wedding invitations, you probably don’t even know where to start, right? Well, we suggest that you think of invitations as a label for your entire wedding concept and theme. 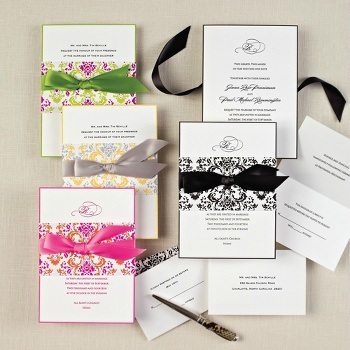 If your wedding has a special theme or certain color palette, you might want your invitations to reflect that. They also should express the general tone of the wedding whether it is formal, intimate or low-key. 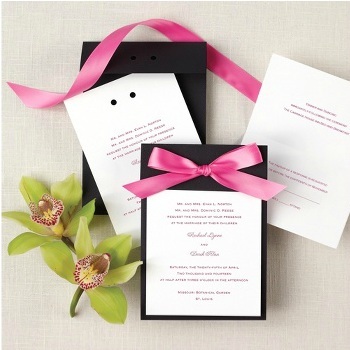 But of course the design of your wedding invitations relies fully on your taste and preferences. The most important points of wedding invitation etiquette are: when to send them out, how to address invitees and communicate the details of the day. A standard wedding invitation traditionally has the following elements: the host line, request line, bride and groom line, date and time, location information, reception and R.S.V.P. lines. Please note that there should be two different sets of invitations: one for the ceremony and the other one for the reception. Even if the ceremony and reception is held at the same location it is advised to have separate invitations, as in the reception card you can provide all additional details regarding the reception and its location. Send out invitations well enough in advance! The proper time to send wedding invitations is about 6 to 8 weeks prior the event. Be clear about times, locations, attire, activities, directions and anything else that you think is important to be mentioned regarding your special day. Make sure you spell the names and titles correctly. Find out the names of the invitees’ +1 person in advance, in case you don’t know him/her in person. 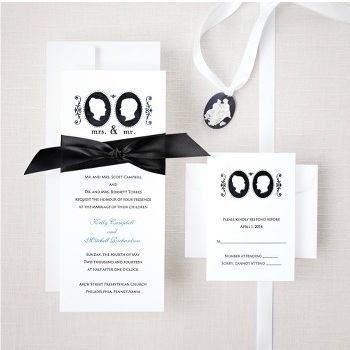 Don’t include any information about the gifts in your wedding invitations. Your parents and bridesmaids should inform your invitees about your gift registry or your preferences. Also, a lot of couples create wedding websites, where invited guests can find all necessary information about the wedding as well as gift registry information. It is considered impolite to write on the invitation that children are not welcome at the wedding. It should be communicated word of month. If you still want to include this information to your wedding invitation, the compromise could be to add the last sentence to the reception card saying “Adults Only”. If your wedding will require a certain dress code, place that information on the reception card. Make sure your invitees let you know whether they are coming or not to the wedding at least 2 weeks in advance. This way you will have enough time to count how many guest to expect and inform your caterer. You can either include a R.S.V.P. line on the invitation in the lower left corner and include mailing address, phone number, email address, or website; or you can add a special R.S.V.P. card with the postage. These are the most important rules of etiquette you need to know while preparing your wedding invitations. Do you have questions about Wedding Invitation Etiquette or you think we forgot to mention something important? Come talk to us! Leave your comment below!